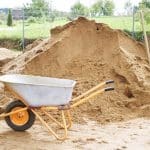 If you have a really old lawn or inherited one from a more recent house purchase, there is a probability that this old lawn is very unlevel and hard to maintain correctly. Top dressing will restore micro levels with a soil mix material applied at around 8mm depth and worked into the surface to repair footmarks, wheel barrow and traffic marks and after the builders have left. Is the high spot because the ground around it is low? 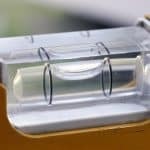 Can you build up these low spots and reduce any high spots? 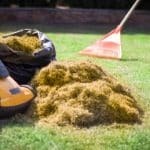 If you lawn requires some major levelling, then the only option may be to kill it off with a Glyphosate total weed killer, let it die back, mow the dead vegetation, rotovate, rough level and import any new top soil and finish off at the final level to any pathways and patios and over seed or turf. Always finish the soil level to match the level of hard landscaping even if turfing. Laying turf is a real treat for any home owner. Instant grass and enough to make the neighbours green with envy. Turf can cost around £3.50 per square metre (supply only) plus the labour to prepare the ground and lay the turf. You could be talking around £10.00 per square metre for a 100 sqm lawn complete installation. Seed supply for this same area would cost you around £90.00 metre but not with such instant results. When the turf delivery arrives, check it and let the driver know right away if there is a problem. MAke sure that it contains no dissease or lawn grubs like Leatherjackets or Chafer Beetle Larvae. 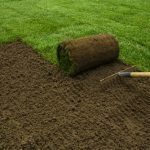 Keep the new turf moist with a wet blanket, especially the ends of the rolls and allow a few rolls extra on the order, more if the lawn shape is not square or rectanglar. 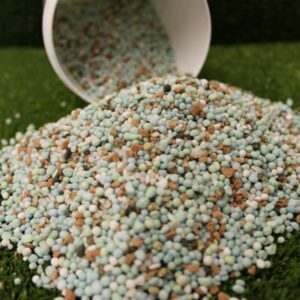 Make sure that the ground where the turf is going to be laid is gently consolidated, level, moist, stone free and pre fertilised with a good granular fertiliser before the turf arrives. Always work furthest away from the turf pallet and use scaffolding boards or flat sheet boards so that you do not walk on the new turf otherwise you will leave footmarks. Get the sprinkler ready once the job is complete after a quick sweep and tidy up. Be prepared to mow the new turf some 7-10 days following installation and do not remove more than 25% growth during each mower session until the lawn is established. Mow in different direction and keep a good eye out for Fusarium Disease if the weather is warm and muggy. 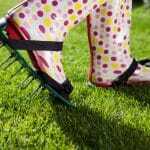 Keep the dew off the new turf with a whippy bamboo cane or light brush or rubber rake. 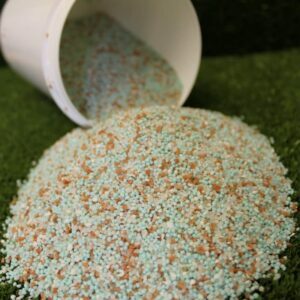 Fertilise again every three months to keep your new green sward installation in tip top condition. Birds love Earthworms, Leatherjacket Larvae and Chafer Beetle Larvae. 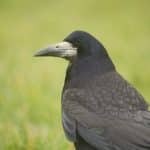 When food is in short supply, flocks of large birds like Rooks and Blackbirds will come to your lawn to rip up the surface to get to the tasty grubs below. Do not underestimate the damage birds will do to your lawn if there is a rich food source underneath. 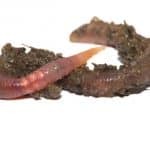 They control Earthworms naturally thus reducing the number of worm casts on your lawn which is a bonus. What can you do to deter them? Sonic bird scarers, fake Owls on the fence, tie old CD’s onto bamboo canes with string so that they move in the wind and reflect the sun to naturally scare the birds off. You can get tape that you fix to a fence post that glitters in the wind and sun. Get a dog or cat. Formal bird scarers include automatic gun shot strings, a Scarecrow, and gas powered bangers to name a few. 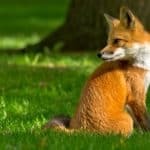 To discourage foxes from coming to your property you should secure food waste in bins and use fencing to protect pets and livestock from foxes. Foxes will dig up your lawn to eat some weeds such as the fern like Yarrow as they like the sweet tasting roots and also they will forage for Chafer and Leatherjacket Larvae. If the problem persists you can use the control methods set out below, but you must not use gassing or poisoning or block or destroy fox earths if they are occupied. You can use cage traps and snares to catch foxes. You should check cage traps at least once a day to stop a captured fox suffering. You shouldn’t relocate or release captured foxes. This will cause foxes stress by transporting and relocating them to an unfamiliar environment. You can shoot free foxes using a suitable firearm and ammunition. You shouldn’t use firearms in urban areas for reasons of public safety. The British Association for Shooting and Conservation has a code of practice on shooting foxes at night(lamping). You should only use repellents and deterrents approved for use against foxes. 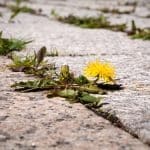 Total Weed Control of weeds and weed grasses on non crop areas like pathways and driveways can be performed at any time during the growing season. Total weed killers can come with many different modes of action and as a result are applied at varying times throughout the year. There are three main classifications of total weed killers – Contact, Systemic and Residual. Contact weed killers, those containing the active ingredient of Diquat also written as Diquat dibromide, Westland Resolva 24H Concentrate is one god example that will kill the weed upon contact by quickly turning the weed foliage black. You may remember the total weed killer Paraquat doing a similar task. Apply Contact weed killers in the growing season when weeds are present. Diquat may be joined in a control product by a Systemic weed killer such as Diflufenican or Glyphosate also written as Glyphosate diammonium. Glyphosate stops the plant producing chlorophyll and treated weed grasses will turn a pink colour a week or so following application before total death. Weeds will take a bit longer to fully die. Apply Systemic, also called Translocated weed killers in the growing season so as early as March to end of November but ideally April to September when what you want to kill is actively growing. Systemic weed killers will kill what is there at the time and a repeat application may be required some 3 months following the first application to keep the area weed free. Indigo Garden Spray Dye is a clever granule that is mixed into a garden sprayer containing your chosen treatment spray solution. When you start spraying your lawn or driveway etc, Indigo will literally provide a temporary visible spray pattern to show where you have or have not treated / sprayed. It will save you time, money, treatment product, effort and the guess-work when you make your next lawn treatment or driveway treatment. You can buy Indigo Garden Spray Dye in the Shop under Spraying Aids product category. 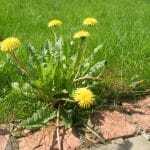 Lawn Weeds need controlling in the growing season as and when you see them with a Selective Weed Control product. This will the weeds that are present at the time of the application but some weeds may take another treatment some 6 weeks following the initial treatment. Do not mow three days or after following a treatment to allow sufficient time for the control product to work. Make sure that you follow the label and calibrate your chosen garden sprayer. There are two main weed periods. Firstly control the over wintering weeds earlier in the spring time and then treat again to control the finer clover type weeds in the early Summer months. Lawn Weeds compete for water and light and grow more quickly than turf grasses so if you have many weeds, you could be doing more mowing. 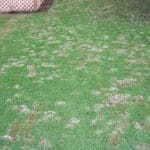 A healthy lawn should not have any weeds in it. Always ‘Feed’ before you ‘Weed’ so that you do not ‘check’ the grass and stress it out when making the treatment. Worm Casts should be controlled in the period Autumn to Spring when they are active in the upper root zone. 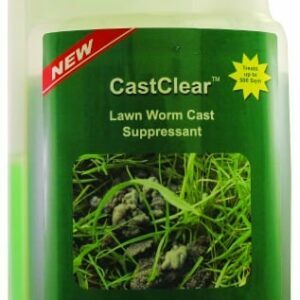 The treatment product CastClear prevents the Earthworms casting for a 20 day period but does not stop them naturally aerating the soil beneath the grass. Repeat every 20 days at 1/3rd of the initial dose rate. Squashed Worm casts make an ideal growing medium for moss and weed spores/seeds. As the soil air to water ratio changes in the more traditional autumn months, you will notice an increase in lawn soil cast activity. The wetter the Autumn or Winter, the greater the Worm activity will be. The root zone of the lawn will become spongy as the Worms undermine the upper surface and mowing will become difficult, especially with a cylinder mower. The use of the lawn will diminish as a result of the soil casts on the surface making the lawn uneven, bumpy and also muddy. Need help with your Spring lawn? "Wow, just wow! Our lawn has come back to life.."
Daughter’s Wedding Day – Lawn Renovation – I was unsure whether you could transform our lawn in time for our Daughter’s wedding and reception in the garden. How wrong I was, we had an excellent day and the lawn looked fabulous. Thanks Mike and your Team for such a great job so very well done! "You speak brilliantly on the subject of lawns and their care"
Lawn Advice – Mike, You speak brilliantly on the subject and for us, this is about showcasing the stories of people up and down the country doing remarkable things to preserve, restore or innovate within horticultural tradition.